The head of a banned Buddhist church in Vietnam on Thursday expressed gratitude to the international community for advocating for his release from house arrest and reaffirmed his commitment to democracy activism in the one party communist nation. 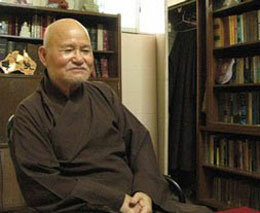 Thich Quang Do, the 87-year-old leader of the Unified Buddhist Church of Vietnam (UBCV), said he was honored by recent calls for U.S. President Barack Obama to push for his freedom when he meets with Vietnamese leaders on the sidelines of two regional meetings in the Philippines and Malaysia this week. 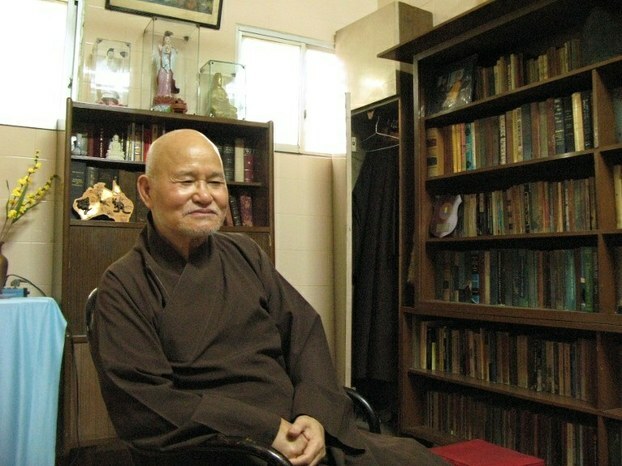 “I would like [to] send my deep gratitude to all the Nobel peace laureates and scholars who have paid great attention [to my situation],” Do told RFA’s Vietnamese Service in an interview from the Thanh Minh Zen Monastery in Ho Chi Minh City, where he has been under effective house arrest since 2003. 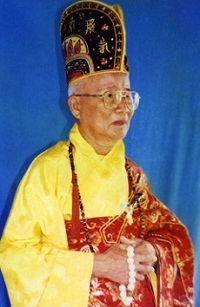 Do said that since the UBCV’s late patriarch Thich Huyen Quang’s death in 2008, he had taken up the call for Vietnam’s communist government to “transition from authoritarianism to democracy,” and would carry on with his mission, despite his continued house arrest. “Only then will our church and I be able to cooperate with the government,” he said. Do’s vow to continue his fight for democracy followed an open letter published Tuesday by the Paris-based Vietnam Committee on Human Rights (VCHR) and several other rights organizations calling on Obama to press Vietnam’s government for the Buddhist leader’s release. Obama is scheduled to meet with Vietnamese leaders on the side of the Asia Pacific Economic Cooperation Summit and the U.S.-ASEAN and East Asia Summits in the Philippines and Malaysia this week. The 90 signatories to the letter included Nobel Peace Prize laureates, religious figures, academics, journalists, legislators, and human rights defenders and democracy activists from around the world. In an accompanying statement, VCHR noted that in Vietnam, religious leaders, activists and bloggers face harassment for peacefully expressing their views and lack a legal framework to protect them, at the same time the country seeks to strengthen economic and security ties with the U.S. It said the signatories stressed that U.S.-Vietnam relations are only sustainable if they are “founded on the mutual respect of democratic freedoms and fundamental human rights,” including the freedoms of expression, association, religion or belief and movement. The release of Thich Quang Do would be a “truly historic gesture” that would “give Vietnam the opportunity to demonstrate its willingness for progress, and reaffirm the United States’ determination to make human rights the cornerstone of this strengthened relationship,” they said. “[This letter] helps put pressure on the [Vietnamese] government—if they want to be respected in the world, they cannot imprison people like Thich Quang Do—and it also gives hope to someone like him,” Gershman said. Thich Quang Do, a 16-time Nobel Peace Prize nominee, has spent more than three decades in detention for his peaceful advocacy work. He was sent into internal exile in northern Vietnam for 10 years in 1982 for protesting the creation of a state-sponsored Buddhist Church and in 1995 was sentenced to five years in prison for organizing a rescue mission for flood victims in the Mekong Delta. Released in 1998 due to international pressure, Do was later placed under house arrest at the Thanh Minh Zen Monastery, where his communications are monitored and he is denied freedom of movement. Vietnam continues to “severely restrict independent religious practice, and repress individuals and religious groups it views as challenging its authority,” the congressionally mandated U.S. Commission on International Religious Freedoms (USCIRF) said in an annual report released in April. Reported by Y Lan for RFA’s Vietnamese Service. Translated by Viet Ha. Written in English by Joshua Lipes.